[PDF] Encyclopedia of Stem Cell Research (2 Vol.Set) | Free eBooks Download - EBOOKEE! Description: What is a stem cell? We have a basic working definition, but the way we observe a stem cell function in a dish may not represent how it functions in a living organism. Only this is clear: Stem cells are the engine room of multicelluar organisms-both plants and animals. However, controversies, breakthroughs, and frustration continue to swirl in eternal storms through this rapidly moving area of research. But what does the average person make of all this, and how can an interested scholar probe this vast sea of information? 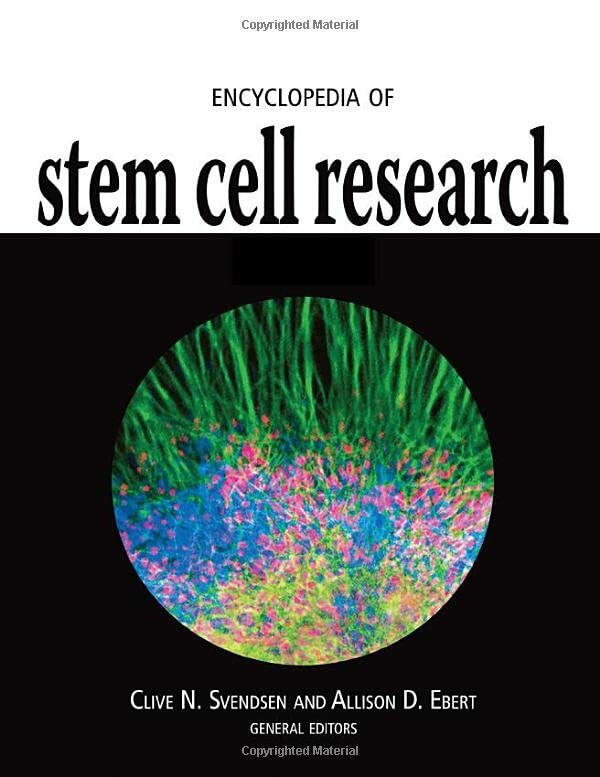 The Encyclopedia of Stem Cell Research provides a clear understanding of the basic concepts in stem cell biology and addresses the politics, ethics, and challenges currently facing the field. While stem cells are exciting alone, they are also clearly fueling the traditional areas of developmental biology and the field of regenerative medicine. These two volumes present more than 320 articles that explore major topics related to the emerging science of stem cell research and therapy. No comments for "[PDF] Encyclopedia of Stem Cell Research (2 Vol.Set)".